When a dog does something that feels good, they will likely repeat it. It is reinforced by the pleasant consequences. This is why reward-based training is so successful. Managing your dog’s environment should be the first step in teaching appropriate behavior by preventing unwanted behaviors. You should set her up for success by making it easy to do the right thing and hard to do the wrong thing. If we can manage the antecedents, we can prevent unwanted behaviors from happening and being reinforced. 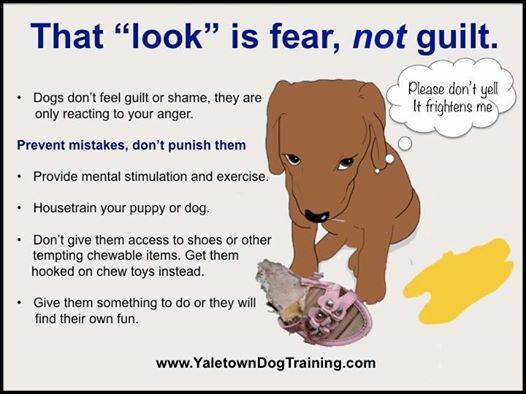 I am sure you could think of many more examples of dogs being positively reinforced for unwanted behaviors. In each case, proper management of the dog and the environment would have prevented the unwanted behavior from happening and being rewarded. Scolding the dog after the fact does not teach them what they should have done instead. Very simple truths! Wish more people could understand this and we would have less dogs in rescues. Very simple, Jo! Sometimes people just overlook the obvious and sometimes people think that dogs should just know this stuff. I’ve never been able to figure out how anyone can expect a puppy to know the difference between a shoe and a toy.